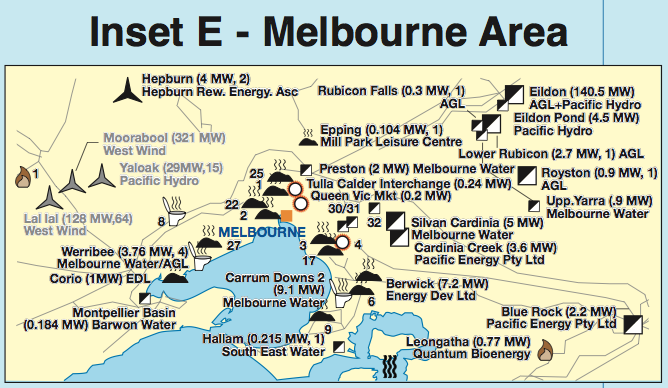 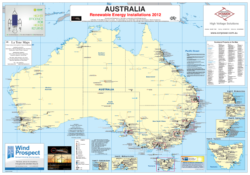 Australia – Renewable Energy Installations -3rd edition. 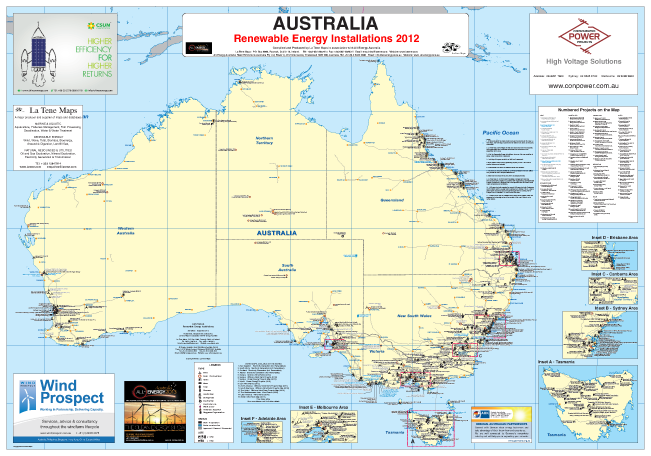 This map shows the location, generation capacity and owner of all renewable energy sites in place in Australia over 1MW in size.. Technologies featured include Wind, Hydro, Biomass, Landfill Gas, Sewage Gas, Solar PV and geothermal Wave and Tidal Stream. 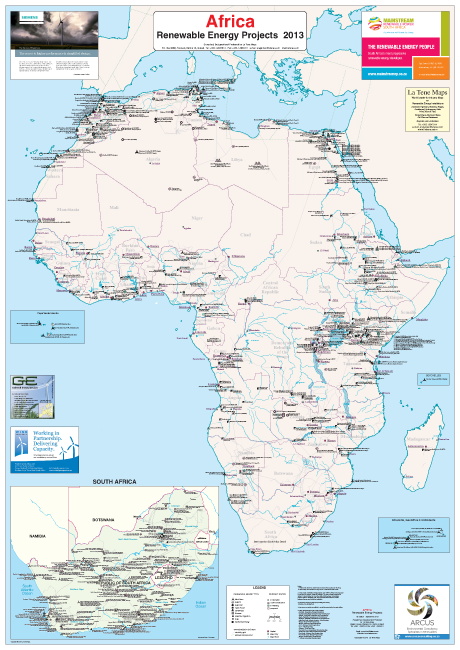 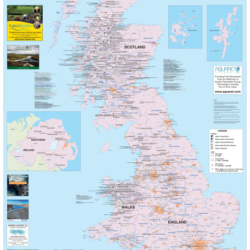 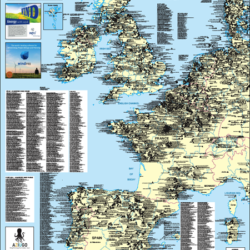 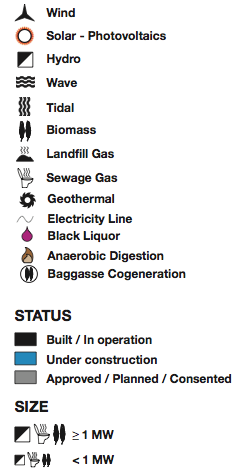 The map also shows major transmission lines and transformer stations.